Apple in a pair of recent filings has proposed methods that would eliminate the necessity of printer drivers in order to streamline the printing process for users of its Mac OS X and iOS devices. 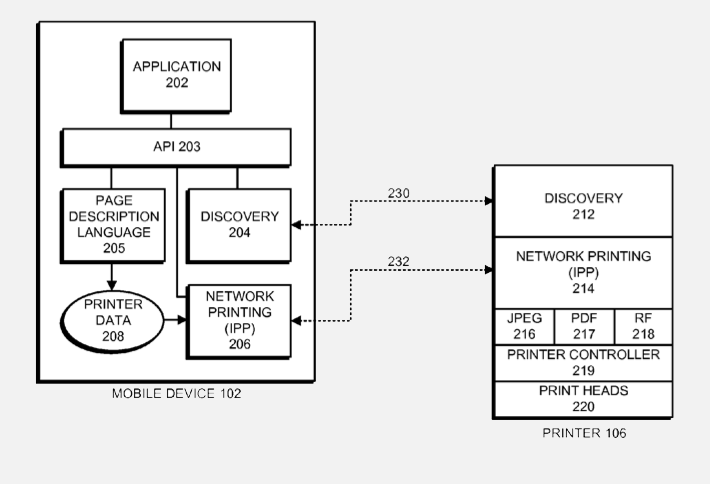 The first of the two patent applications, entitled Walk-Up Printing Without Drivers, reveals methods of circumventing the printer driver requirement when such a driver is absent from Apple mobile devices like the iPhone, iPad and iPod touch, as well as Macs. In the filing, first noticed by ConceivablyTech, Apple describes a new printing process for such mobile computing devices that would allow them to wirelessly detect a printer and determine whether a printer driver is installed. The user would then be able to continue the printing job even without a driver by employing a series of APIs based on a discovery protocol such as Bonjour, an Internet Printing Protocol (IPP) and the PostScript Printer Description (PPD) file, which is used to detect the printer. 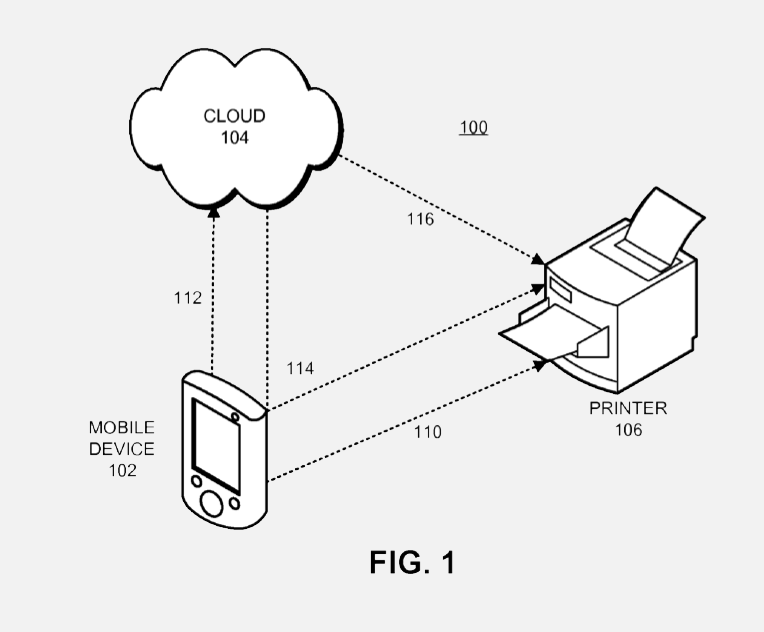 In the event that the device still fails to pair up with the printer, the user would have a third way of completing the print job —by sending the documents to the cloud and using cloud-specific printing technology to communicate with the printer. Filed on the same day as the first one, September 14, 2010, the second patent, entitled Data Formats to Support Driverless Printing, shows a different driverless and wireless printing concept also explored by Apple. 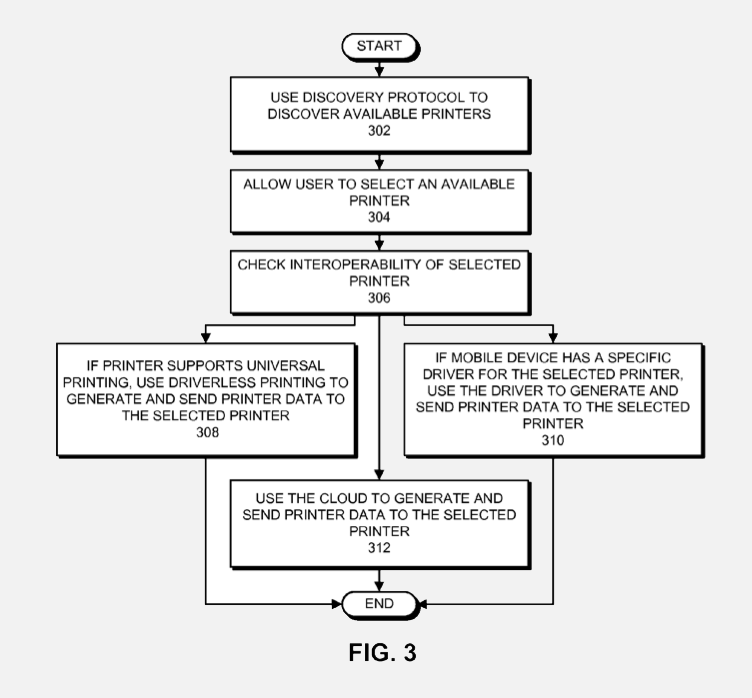 A new URF-supported key, part of discovery and transport protocols, is also mentioned by the second patent. Its purpose would be to offer a standardized set of capabilities that are supported by a printer that would let the user generate printer data for any type of printer without actually storing any printer-specific details on the computing device in question. The new wireless and driverless technologies described by these two new patents would complement Apples existing AirPrint capabilities for iOS devices and could lead to a future driver-free printing experience for most Mac OS X computers. 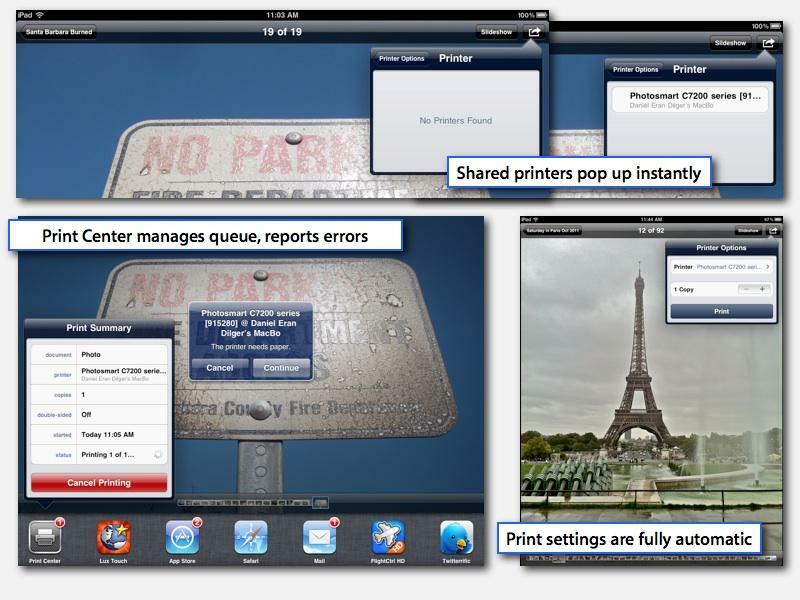 Apple has high hopes for AirPrint, but has run into a few snags in the transition to driverless printing. 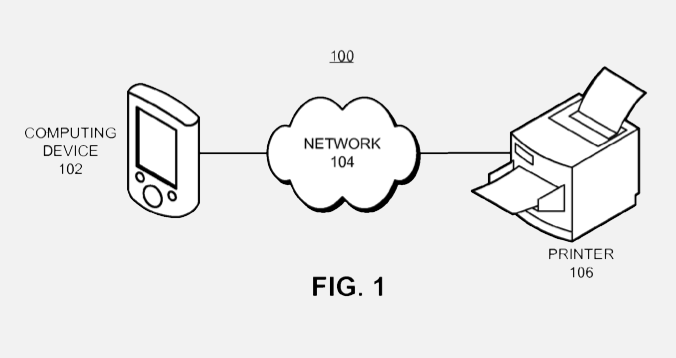 Late last year, one rumor suggested that Apple had run into intellectual property issues with the AirPrint architecture, a problem that could potentially be alleviated should the U.S. Patent & Trademark Office grant the above patents to Apple. Meanwhile, printer makers such as HP and EFI have been steadily adding support for the feature to their printer offerings.